Founded in 1985, Nieto Sobejano Arquitectos has offices in Madrid and Berlin. Their major works include the Madinat al-Zahra Museum, Córdoba; the San Telmo Museum, San Sebastian; the History Museum, Lugo; the Contemporary Art Centre, Córdoba; the Zaragoza Congress Centre; the Joanneum extension, Graz, Austria; and the Moritzburg Museum, Halle, Germany. The firm currently has projects in Germany, Spain, Austria, Estonia, Morocco, and China. In addition to the Alvar Aalto Medal, Nieto and Sobejano are past winners of the Aga Khan Award for Architecture and the Piranesi Prix de Rome. 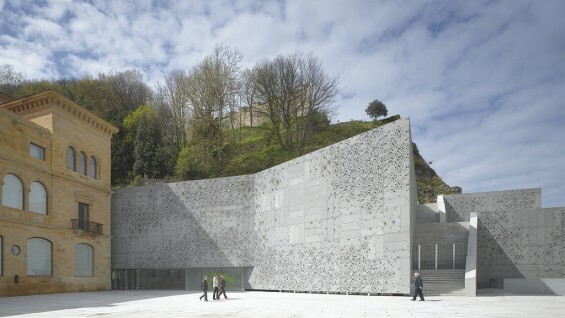 The firm was also awarded the National Prize for Restoration from the Spanish Ministry of Culture and the Nike Prize issued by the Bund Deutscher Architekten (BDA), the European Museum of the Year Award, and the Hannes Meyer Prize. Sobejano is a professor at the Universität der Künste Berlin, where he holds the chair of Principles of Design. Both Nieto and Sobejano have been visiting critics and lecturers at universities in Spain and abroad, are past co-directors of the journal ARQUITECTURA, and have had their work featured in numerous publications, including the recently published monographs Nieto Sobejano: Memory and Invention and Fuensanta Nieto Enrique Sobejano Architetture. Jorge Otero-Pailos is Associate Professor of Historic Preservation at Columbia University’s Graduate School of Architecture and the founder and editor of the journal Future Anterior. Otero-Pailos also serves on the League’s Board of Directors. Free for Cooper Union students, faculty and staff, and League members. For all ticket inquiries go here.